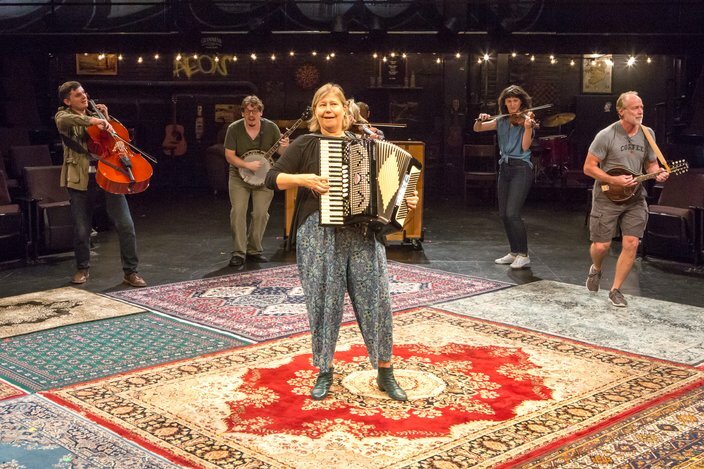 Performers in the Tony Award-winning musical 'Once' rehearse at the Arden Theatre, Wednesday, Sept. 19, 2018. 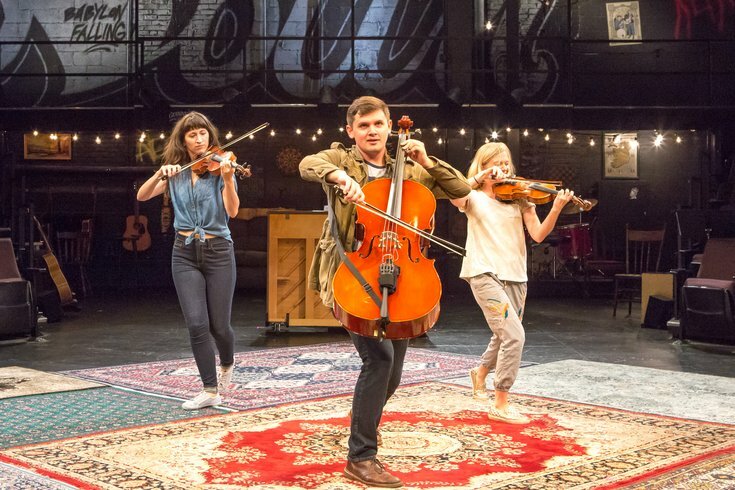 The Philadelphia premiere of "Once," the Tony Award-winning musical based off the book by Enda Walsh, will open on Thursday, Sept. 20, at the Arden Theatre on Old City. 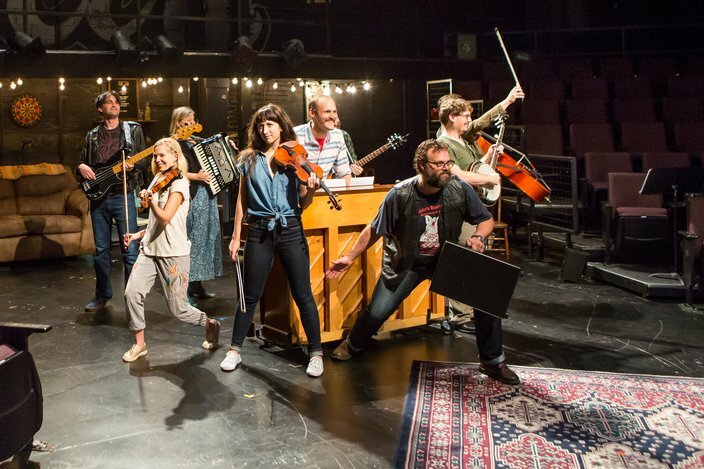 The production has no traditional pit orchestra and features a cast that plays all of their own instruments. Music and lyrics are by Glen Hansard and Markéta Irglová. "Once" tells the tale of a Dublin street musician who's about to give up on his dream when a beautiful, young woman takes a sudden interest in his love songs. As the chemistry between the two grows, his music soars to powerful, new heights. The musical production will be at the Arden Theatre Thursday, Sept. 20, through Sunday, Oct. 21. More information and tickets can be found here. Below are photos from a recent rehearsal. Emcee, played by Josh Totora, rehearses at the Arden Theatre in Old City Philadelphia. 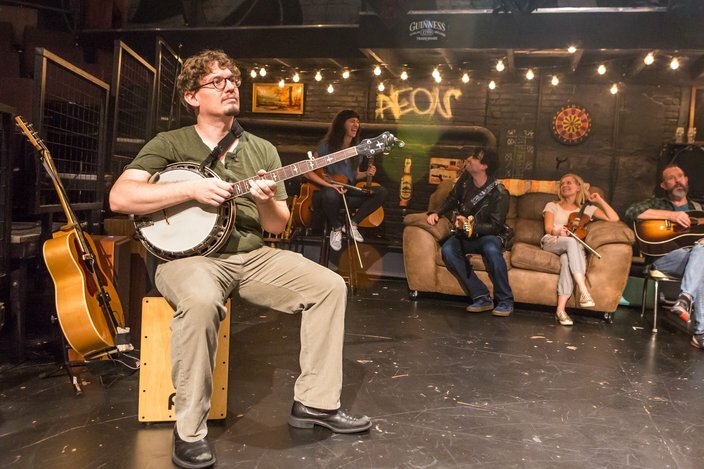 Cast members of the Tony Award-winning musical “Once” rehearse the act, “The North Strand,” Wednesday at the Arden Theatre. 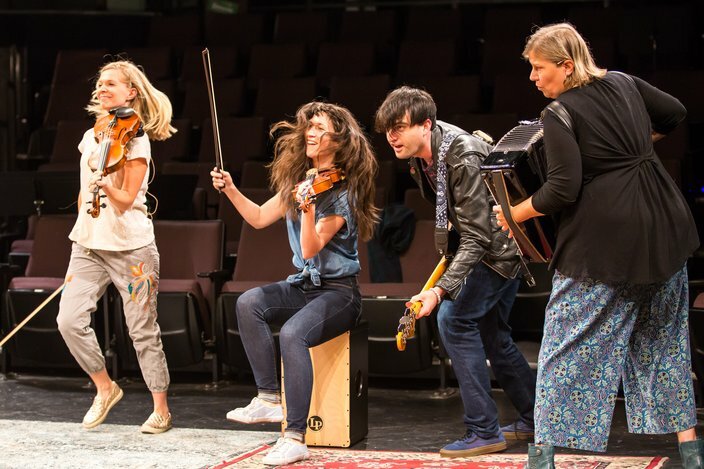 Cast members of the production “Once” rehearse at the Arden Theatre, Wednesday, Sept. 19, 2018. Emily Mikesell, who plays Baruska in the musical “Once”, rehearses at the Arden Theatre.